The Tree House will become the most popular location in your classroom with hours of fun and exercise all in one. Features include sensory elements and manipulative wall panels, a tree with a playful ball tube including 3 balls, 8 sensory bean bags, cotton pocket, anti-slip stairs, maze and porthole. 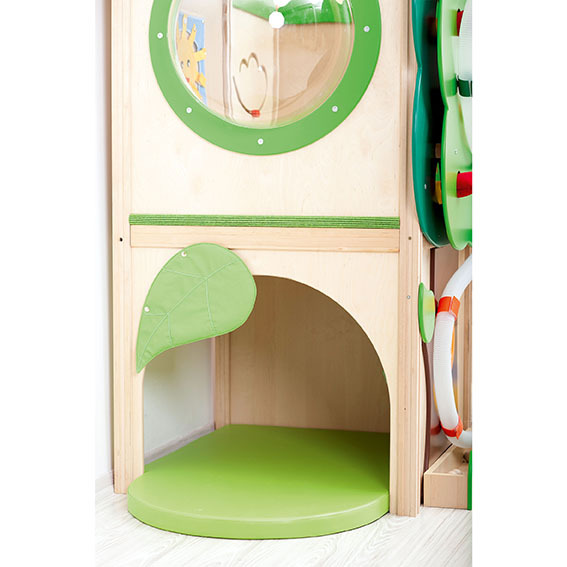 There is also a mobile cabinet included which can be stored in the unit and the underside of the tree house can be used as a hideaway and play den. Ages 3+. 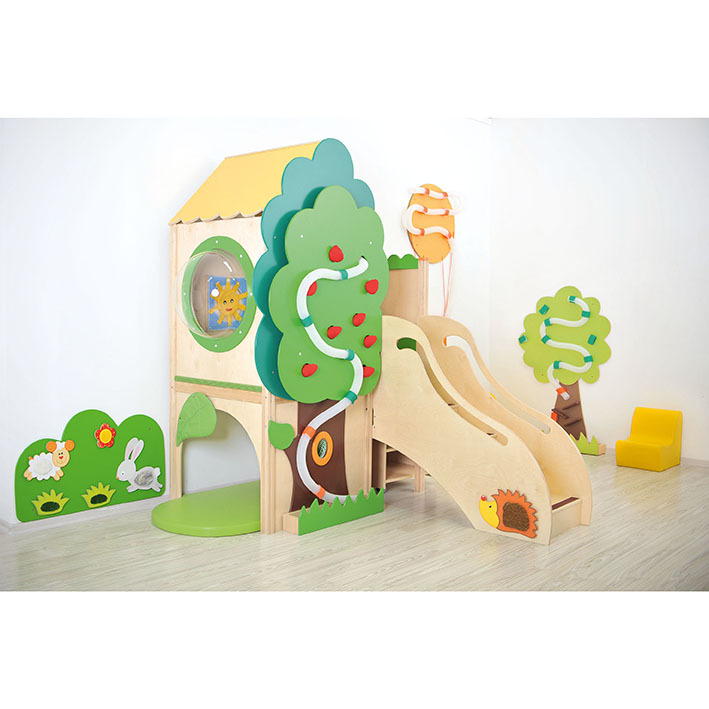 Made from durable and strong plywood – supplied part assembled. Dimensions H2120mm (We recommend a floor space of W2400 x D2400 to accommodate stairs, pvc mat and storage unit).